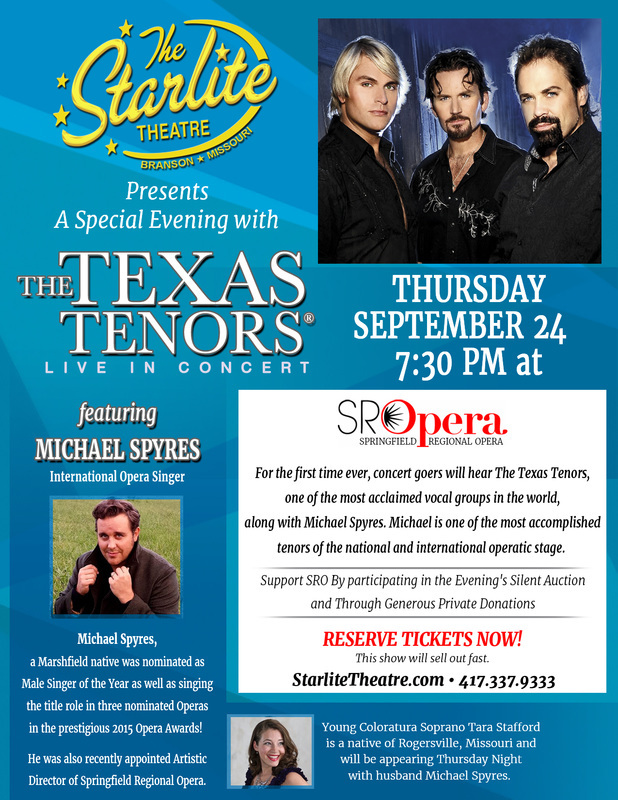 Tara and her husband Michael Spyres will be in New Orleans to sing in a benefit concert, "Serenade for the Crescent City: A Salute to Mario Lanza and Kathryn Grayson"
There will be cds available for purchase and signing after the concert. Thrill to music of Verdi, Bellini, Bizet, as well as the great songs associated with Lanza and Grayson.This concert is free of charge, but free will donations happily accepted to benefit the Bishop Perry Center. "Tell’s son Jemmy is sung with contrasting sweetness and piquancy by soprano Tara Stafford, who off the stage is the wife of this performance’s Arnold. Jemmy’s air in Act Three, ‘Ah, que ton âme se rassure,’ has often fallen victim to the heinous cuts imposed on Guillaume Tell, but Ms. Stafford justifies its inclusion in this complete-and-then-some performance by singing it winningly. Tell’s wife Hedwige receives from mezzo-soprano Alessandra Volpe a portrayal of integrity and plush vocalism. In reality, her luxurious singing makes the character seem more important than her music suggests that Rossini thought her to be. Ms. Volpe’s voicing of Hedwige’s lines in the Act Four trio with her son and Mathilde, ‘Je rends à votre amour,’ is lovely, but her phrasing of the Prière (also in Act Four), 'Toi, qui du faible est l'espérance,' is stirring. She and Ms. Stafford make an appealing wife and son of whom any Tell would be both protective and proud." The live recording of Guillaume Tell from the Bad Wildbad Rossini Festival is available from Naxos! Tara will join the Rossini in Wildbad festival in Bad Wildbad, Germany, singing the role of Jemmy in their production of Guillaume Tell. It will be the most complete version of the opera ever performed. The title role will be sung by Andrew Foster Williams, Arnold Melchtal by Michael Spyres, Mathilde by Judith Howarth, Hedwige by Silvia Beltrami, Melchtal/Walter Furst by Nahuel Di Pierro, and Gessler by Raffaele Facciolà. 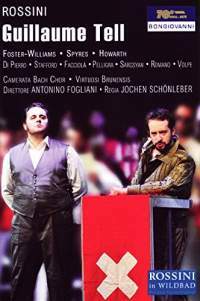 Conductor Antonio Fogliani is the musical director, with staging by festival director, Jochen Schönleber. For more information please visit the Rossini in Wildbad Website. 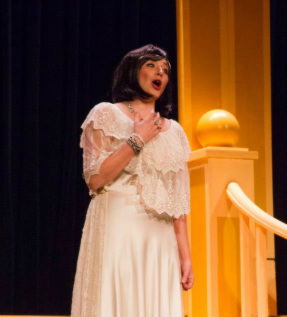 Tara recently performed with the SRO Lyric Theatre singing Violetta in a production of Verdi's La Traviata. "Soprano Tara Stafford-Spyres, the Mimi of SRO’s 2011 “La Boheme,” embodies a very different consumptive heroine here. Violetta changes greatly throughout the course of the opera, as do her vocal requirements. As Act I’s self-assured queen of the demimonde, the soprano negotiates “Ah fors’e lui” and “Sempre libera” with impressive ease, rising to an ecstatic top note that conveys the heroine’s passionate nature. Her downward trajectory is limned in moments both dramatic (“Amami, Alfredo, amami quant’io t’amo!”) and poignant (“Addio del passato”). Stafford-Spyres’ warm vibrato is used to good effect in the latter number, making me wish she had been allowed both verses."